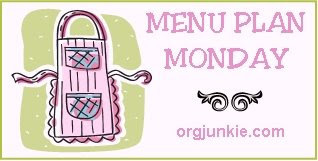 Frugal & Fabulous: Menu Plan Monday!!! Monday: leftover Creamy Rosemary Penne with Ritz Cracker Topping YUM!!! I made a lot of fun things this weekend- hoping to post the recipes/reviews soon!!! The rosemary penne sounds delish! What did you think about the baked ziti? The crockpot spinach dish sounds absolutely wonderful!